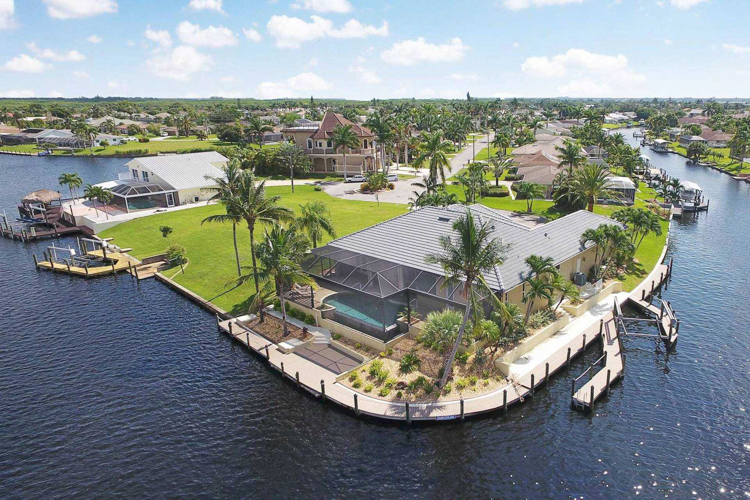 Villa Elizabeth is in a quiet, convenient area of the desirable SW Cape Coral, with very close proximity to grocery stores, drug stores, postal service, banks, restaurants & bars and the Cape Harbor Marina, with its great restaurants and boutique shops. From the lanai of this over 2,200 sq. 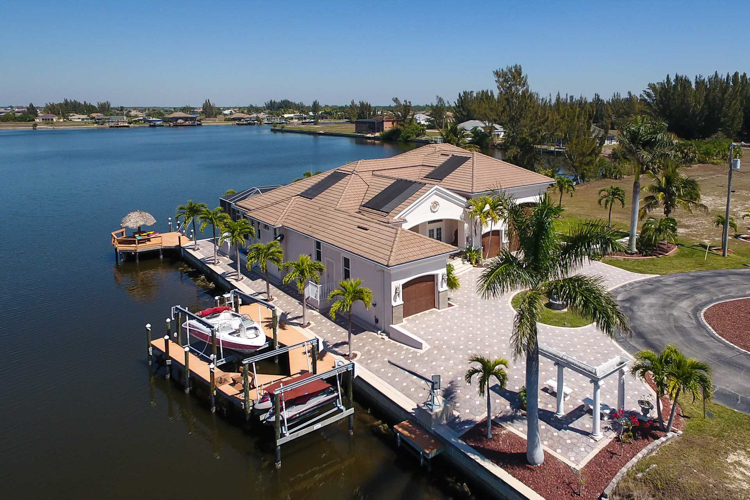 ft. large vacation home you will enjoy watching motor yachts drifting along the extra wide Gulf access canal on their way to the Gulf islands. 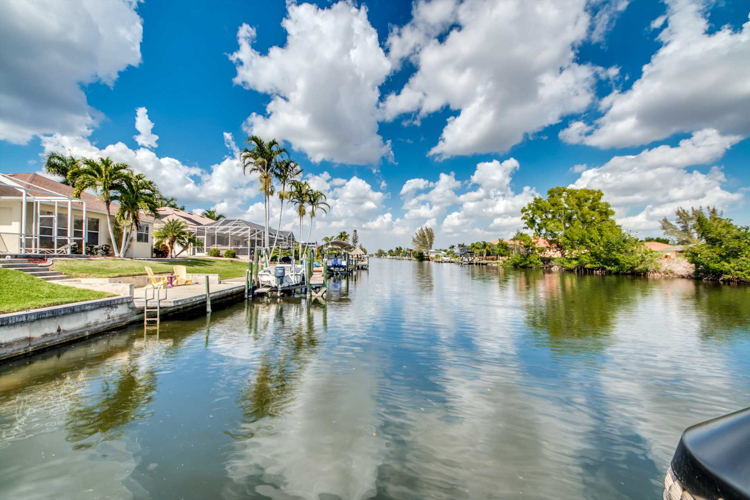 The first beach at Cape Coral Yacht Club is just 10 minutes by car away, and the beaches of Ft. Myers and Sanibel Island about 30 to 35 minutes. 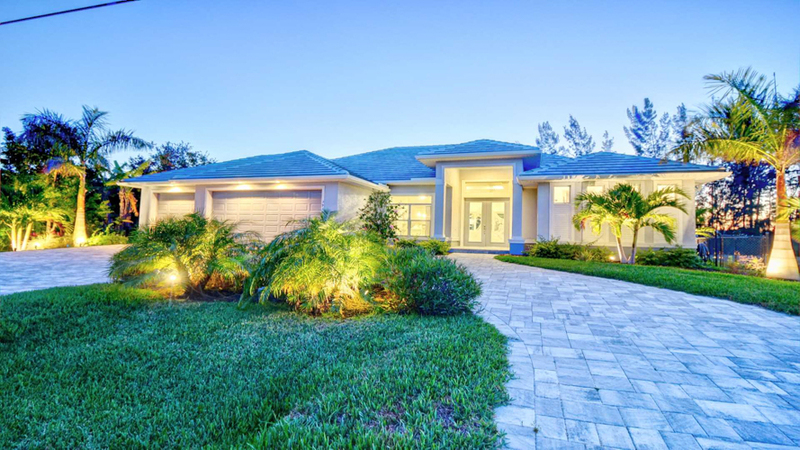 The well-maintained landscaping with mature palms and shrubs enhances the tropical touch of the property. 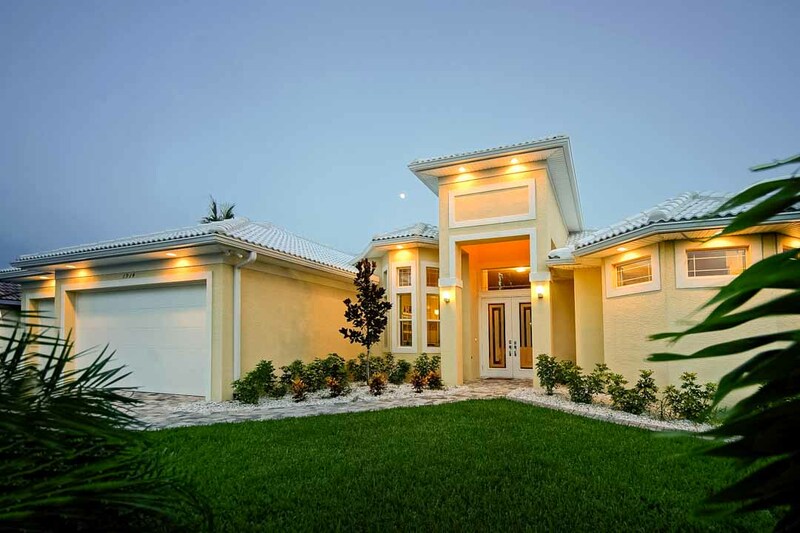 As soon as you enter the home the floor plan will give you a homey feeling. 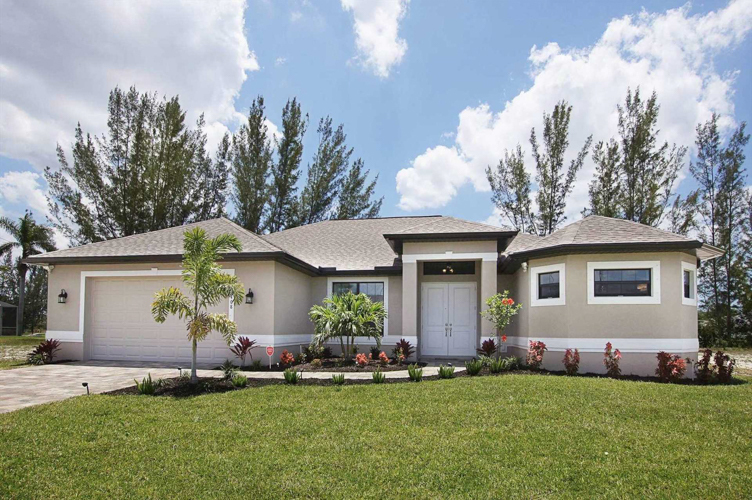 This lovely vacation home offers 3 bedrooms, 2 baths, as well as a large living room featuring comfortable sofas, 2 recliners and a large flat screen smart TV and DVD player. The double sliding door virtually extends the living room to the lanai giving an irresistible feeling of space. 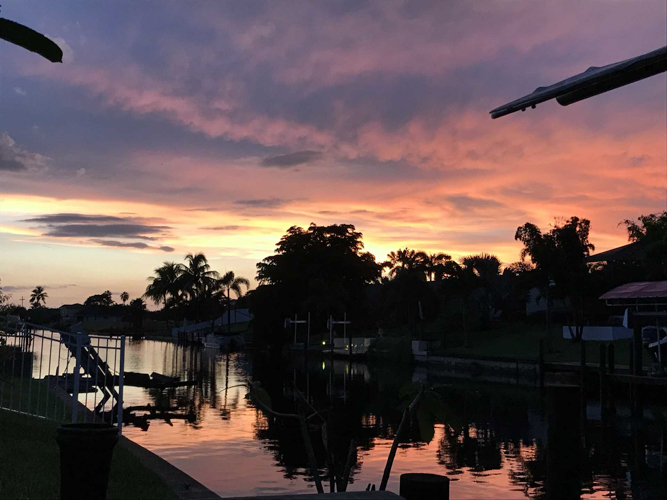 From here you will enjoy a great view of the extra wide Gulf access canal and breathtaking sunrises. Hi-speed internet and Wi-Fi will be appreciated by the vacationer who needs to stay in touch with the office or family and friends at home. 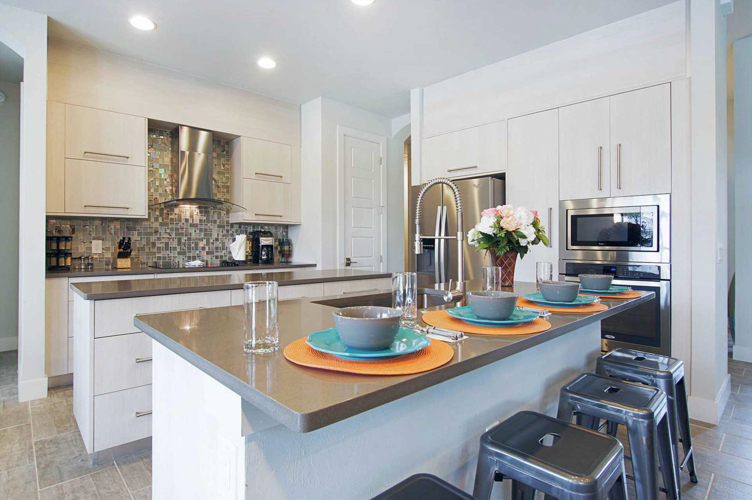 The open layout of the fully furnished kitchen with all necessary appliances leaves virtually nothing to desire. The attached breakfast bar is very convenient for a family breakfast or a quick bite on the run. 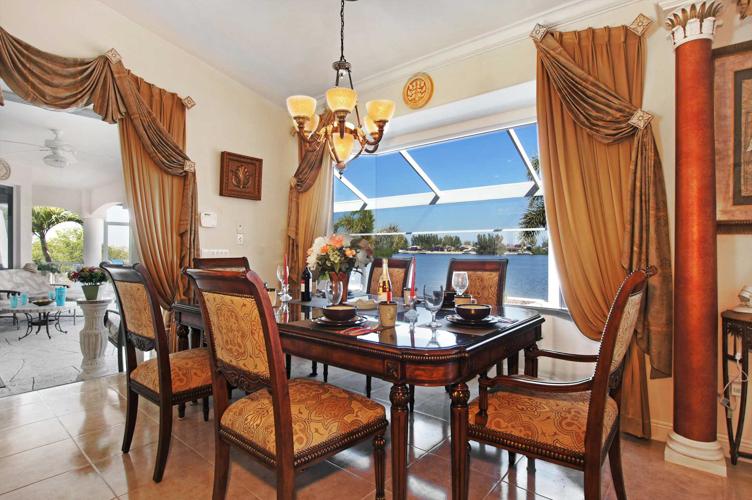 A separate dining area is offering a delightful view of the front yard. 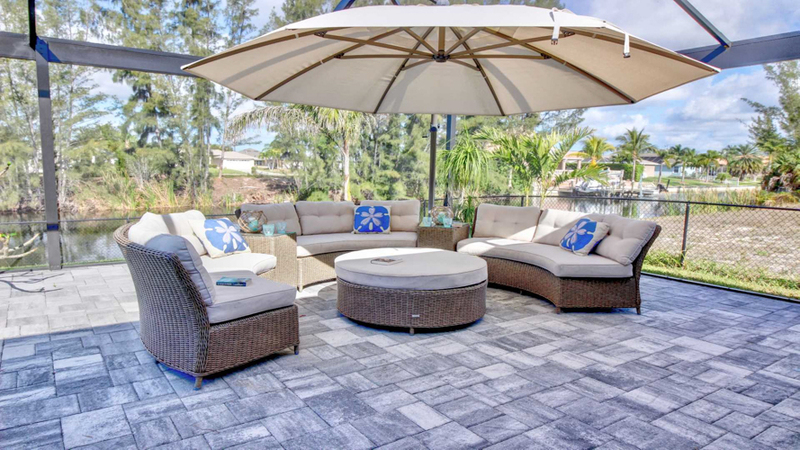 When you enter the lanai, you will see a dining table and a comfortable seating area in the covered, but open area. 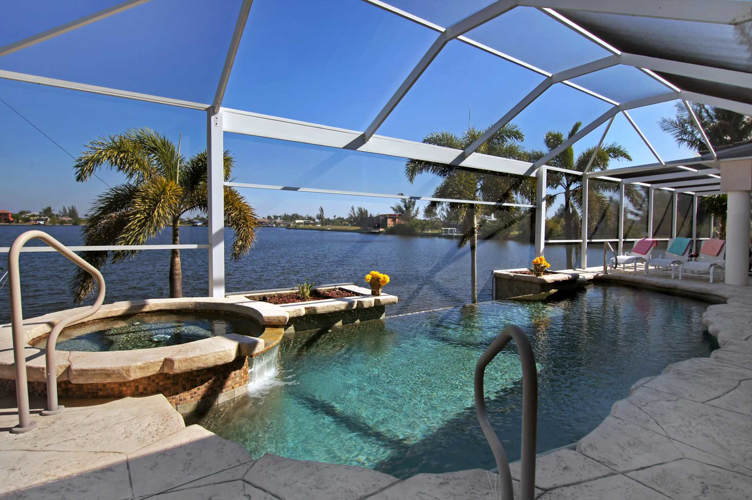 The lanai features a large electric heated pool and lots of space for sunbathing. There is also a dock and boat lift down at the canal. The surrounding planked deck area is great for sunbathing and for your convenience this home is equipped fishing poles and tackle box, but also offers 2 bicycles, beach chairs and BBQ grill. 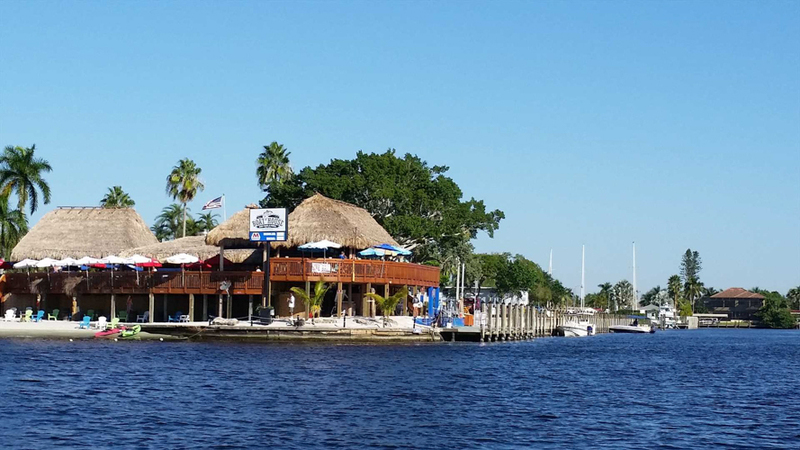 And remember, in Cape Coral you always have Happy Hour! 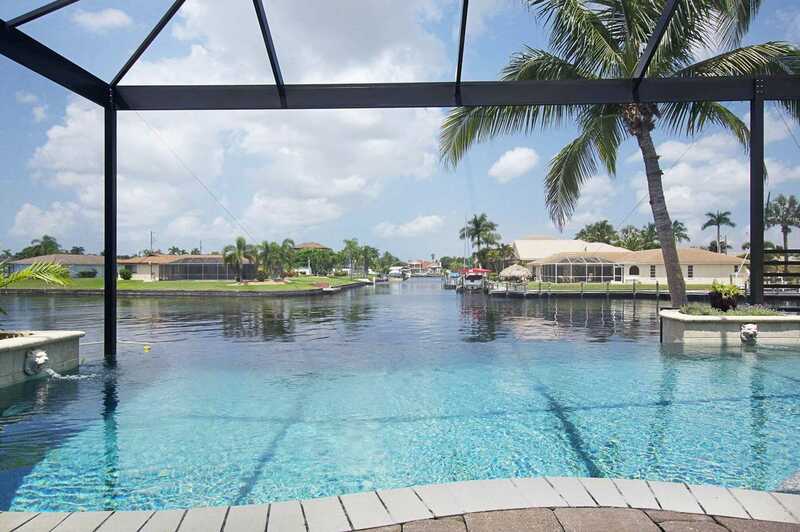 Just relax with your favorite drink or watch the jumping fish or passing dolphins and manatees. 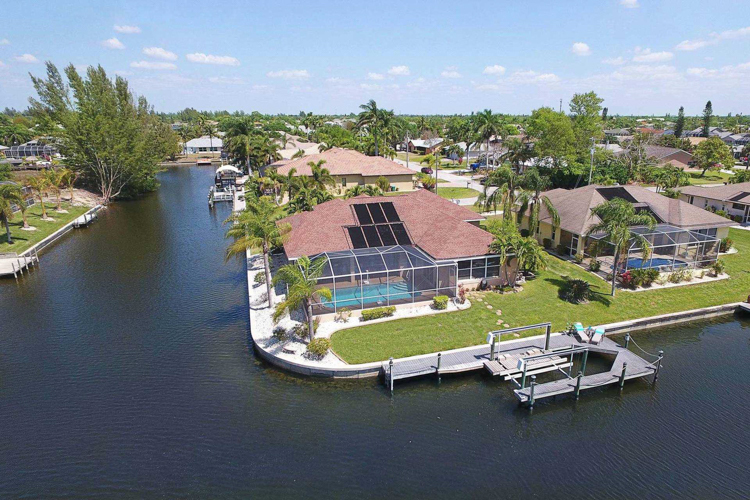 Villa Elizabeth is only about 35 minutes by boat from the Caloosahatchee River, which immediately will lead you to the warm waters of the Gulf of Mexico with the many beautiful islands featuring white, sandy beaches and hidden coves; just bring your own boat or rent one to turn your time down here into the perfect Florida vacation. If you can't bring your own boat, you should know that we also offer the convenient and time saving way to rent a boat directly from us. 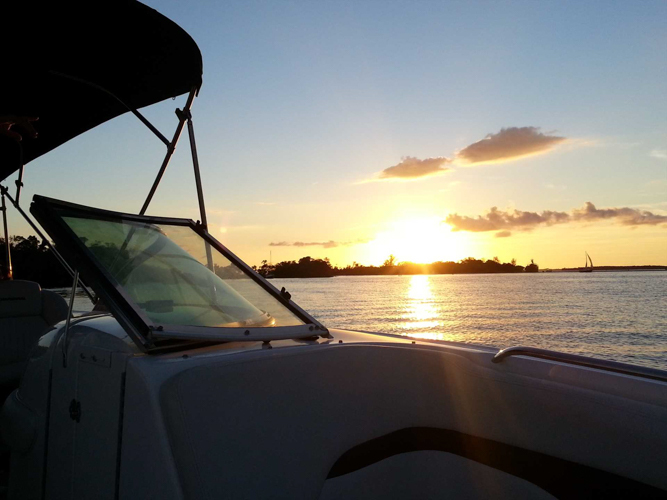 One of our licensed captains will provide you with detailed instructions including a short trip on the water under his supervision if requested. 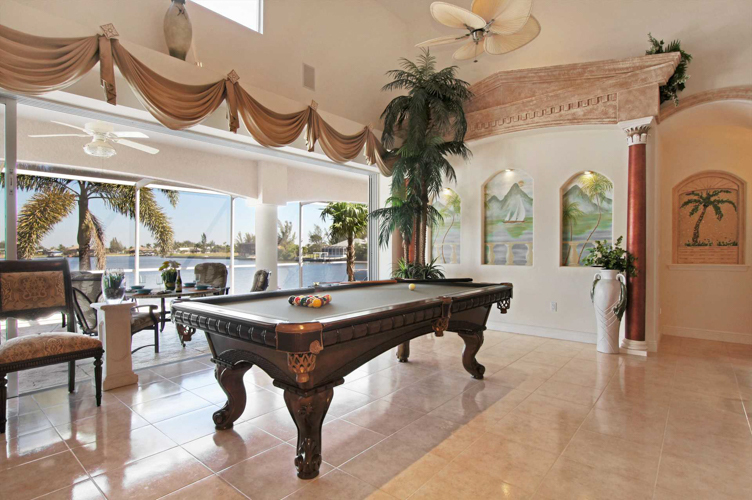 Come and enjoy an unforgettable vacation in SW Florida. You will not be disappointed!